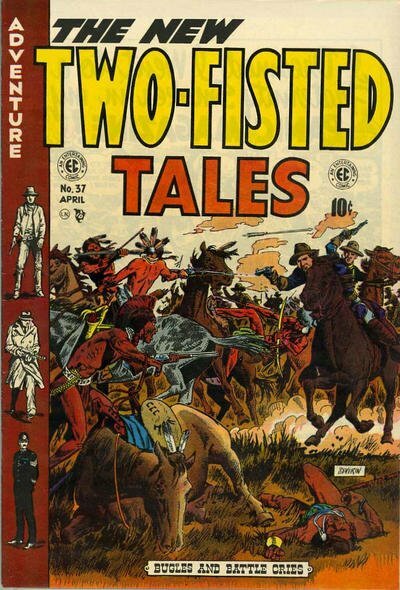 Click Here To See Two-Fisted Tales #37 Comic Book! Check out this very nice EC SPLASH, which was penciled and inked by the great John Severin, from the story titled: "Action!" 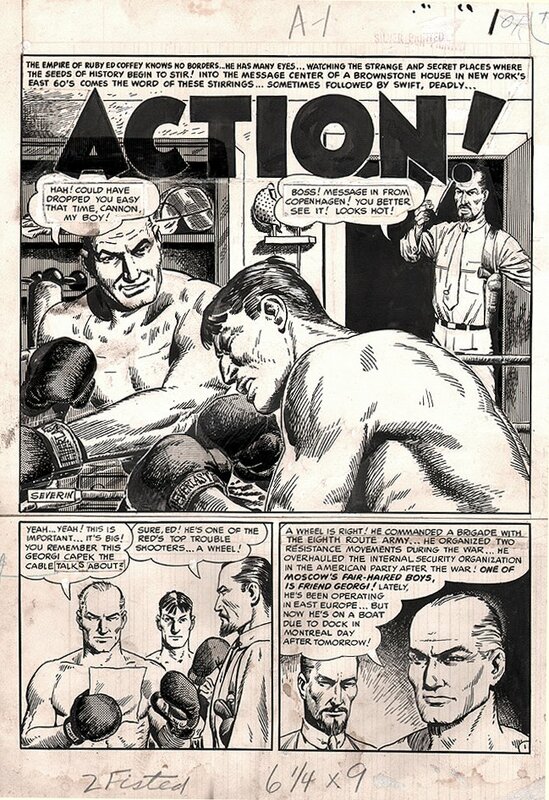 This nice Golden Age SPLASH features 2 boxers duking it out during wartime! John Severin drew a lot of his art for EC comics smaller size in protest to page rates, so this page, like most of his EC interior artwork is drawn on a 9.75 by 14 inch art board! Just a great opportunity here to own a NICE golden Age EC splash by this great artist!